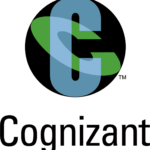 Cognizant Syllabus 2019 Online Written Test Pattern Freshers CTS | Prep..
Cognizant uses both AMCAT for both on campus and Off campus drives. Earlier it used MeritTrac for oncampus but this has been discontinued from september 01, 2018. Below you this page you will find CTS syllabus 2019 and cognizant Online Test Pattern 2019 for the CTS Written Test Pattern. Most syllabus website pages on Internet have given incorrect pattern and their syllabus page is same since 2014’s so, we advice you to trust this page completely, if there is any confusion please ask that in comments section and we will answer. We update our Cognizant Online Test Pattern page as soon as there is any change in syllabus or process within a day, which is why PrepInsta is No.1 placement preparation website in India. Below, you will find all different types for CTS Placement Pattern 2019. All the questions asked in test are available on CTS Preparation Dashboard on our website. Cognizant Syllabus for On Campus Visit here. Scroll down below to find syllabus for each of them. Apart from that there is one more role for Analyst Trainee for which the CTS is 2.53 LPA. Cognizant recruits in large number for this role each year from various colleges. The CTS test pattern for the Cognizant online test (first round) is as below. Also make sure that you like our facebook page here. We generally post the latest syllabus change and latest questions first here on our Facebook page. The next round will a Face to Face Technical interview round and followed by HR round. Automata Pro: Simulated coding platform on Data structures, recursion, Arrays and Matrices, Sorting and searching, String manipulation etc. This is for both 3.38 LPA and 2.53 LPA package. 2018 or 2019 batch of BE/B.tech belonging to CSE / IT / ECE / EEE / EIE / E&E / Applied Electronics / Computer and Technology / Electrical / ETE / ICE / Software Engineering (Full time only / Regular courses only). Maxiumum 2 years gap in education. Batch of BE / B Tech / ME / M Tech / MS[5yrs] degree students belonging to CSE / IT / ECE / EEE / EIE / E&E / Applied Electronics / Computer & Technology / Electrical / ETE / ICE / Software Engineering/Mechanical only. Max 2 years gap in education. Any students who have applied and waiting for re-evaluation would be considered only with the initial results declared. Appropriate CGPA to % conversion to be considered as per University norms. Flexible to relocate to anywhere in India, work in any shift/domain. Important Once you clear the above round, if you are shortlisted by Cognizant, then within a week you will get email from CTS to give AMCAT Coding Test from home. Note You need to have a working Camera in the laptop you're using. As the test will be proctored online. Well, there is no syllabus and you don’t actually need to prepare for this test. It’s just there to judge your personality there are no right or wrong answers. Now, CTS introduced a new hiring process for On campus Graduates, the new role has a package for 6.5Lakhs and the test is more difficult than the usual on Campus test conducted for position for 3.38Lakhs package. First section is Online test which has 52 questions, rather than 55 Questions. After this there are two more round the first one is Technical Questions for testing candidates on debugging and basic programming skills and after this a coding test. Now, depending on the complexity of questions and how you performed in previous rounds there may be 2 questions or 4 and time will be 60-90 mins. Note: Coding Proficiency test of Cognizant is the first level of screening if the number of applicants for this role is high. This online coding test is conducted on the Hacker rank platform. The questions asked in this round are normally of medium/difficult range. So a lot of students might not be able to clear this round without good programming knowledge. Cognizant might as well exclude this round based on the number of applicants. The second online coding test is much easier when compared to this. The level of questions asked would range from easy to difficult. Questions asked in Technical round will be related to basic input output questions, and OOPS concepts like public private etc type MCQ Questions. The syllabus for CTS online test for the Associate role is shown below. Technical Automata Pro: Simulated coding platform on Data structures, recursion, Arrays and Matrices, Sorting and searching, String manipulation etc. Important: Test Evaluation will include coding modules from C, C++ and data structures predominantly with medium and high complexity questions. It may also have few basic coding or MCQs on SQL, Database, Java and .Net and algorithms.